Has it been long enough that we’ve sufficiently stopped caring about Paula Deen and her previous indiscretions? Are we, as a society, prepared to let her start once again selling branded products like this handsome knife set and getting paid exorbitant speaking fees for appearances in places like Houston or Buffalo? 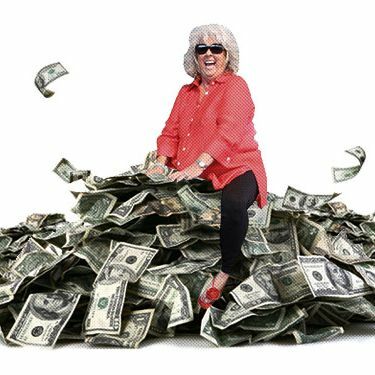 Well it doesn’t matter, because like it or not, the Paula Deen Comeback Train is fired up and rolling right along: She’s formed a new company, Paula Deen Ventures, and she just locked down an investment that’s reportedly worth between $75 and $100 million. “Alive and well” might be overstating it a tad, but no matter how far Deen has fallen, she’s still better than SkyMall.